My clients for this project were looking to refresh their living room and get a new look cabinet for a new television. The combination of the solid oak worktop with white satin cabinets has created a fresh look. 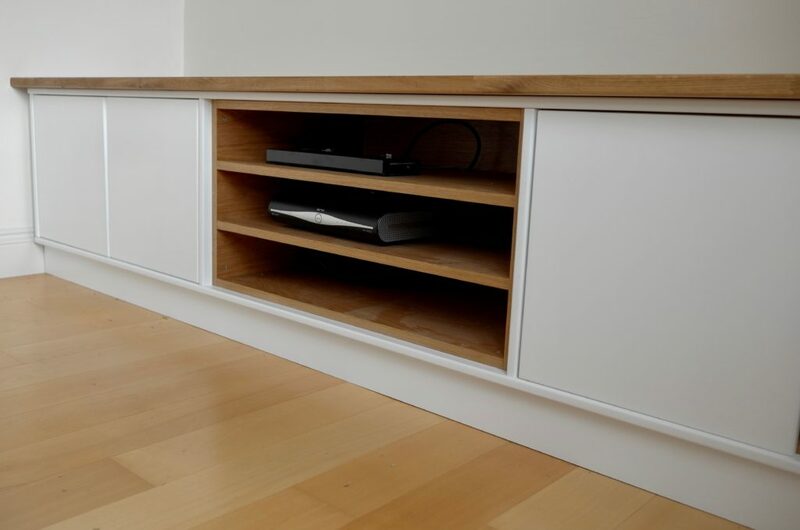 All cables are hidden away, and boxes housed in the shelves beneath the television. The cabinet doors have concealed hinges and magnetic push-fasteners. 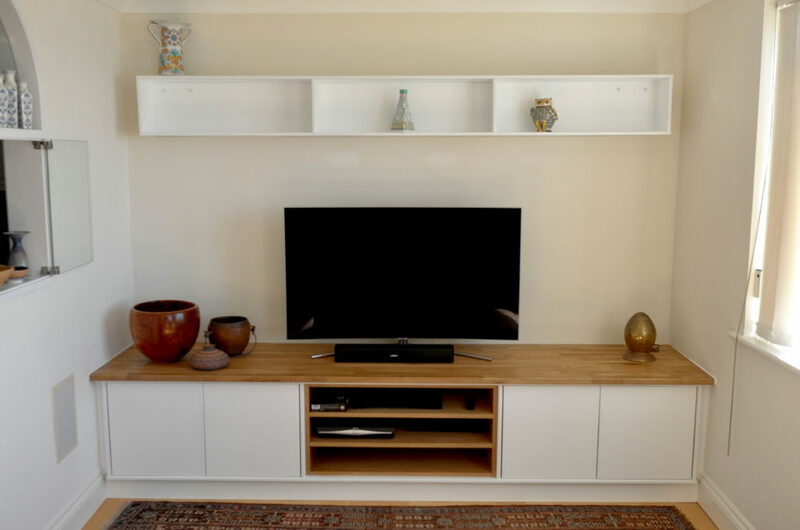 To finish off the piece we have added a shelving unit on the wall above the television. This entry was posted in Wardrobes & Cabinets. Bookmark the permalink.